Tony's Talking Pictures Blog: New on Blu-ray and DVD November 20, 2018 "Kin" and "Crazy Rich Asians"
New on Blu-ray and DVD November 20, 2018 "Kin" and "Crazy Rich Asians"
In “Kin” a young boy discovers an alien weapon of great power and is being hunted by those who lost it. I was pleasantly surprised that “Kin” wasn't one of those 'kid saves the universe' films, which the promotional ads seem to lead you to believe. The film offers some exciting action and solid acting, especially James Franco's relentless bad guy. And, although the film has its problems with pacing and flushing out some characters, the film ends up being a 'guys on the run' film with some thrills and spills. 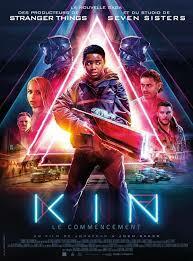 “Kin” gets a B and is rated PG-13. Based on the best selling book, a woman travels from New York City to Singapore to meet her boyfriend's family. “Crazy Rich Asians” is a better-than-expected rom-com that has its basic roots in those 1940's screwball comedies, but offering a little deeper moral about simply being yourself. The film delivers on laughs and at the right moments some good sentiment without forgetting who its audience is. 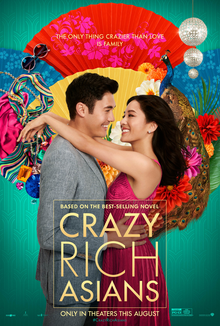 “Crazy Rich Asians” is a well paced, funny comedy and deserves a B.